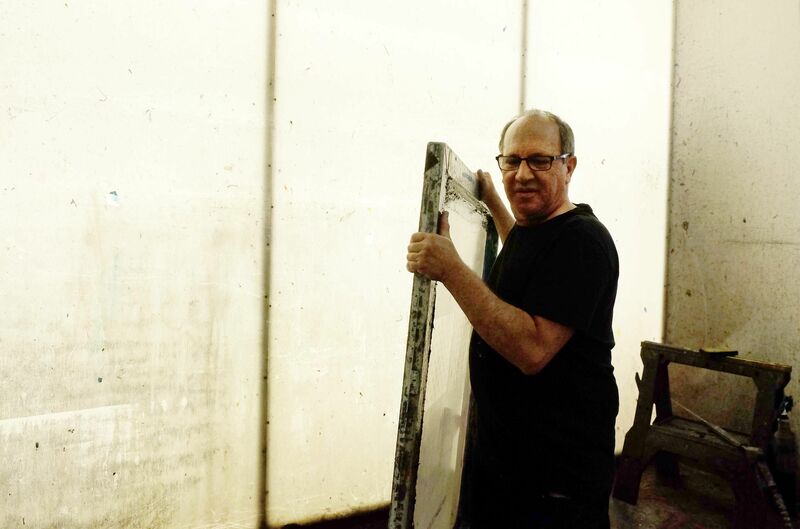 Gary Lichtenstein has been involved in producing silkscreen prints since the late 1960s. He started as an apprentice under the wing of Robert Fried in San Francisco. Together, the pair became involved in creating rock’n’roll and rock art posters — a style which was embraced by bands such as Pink Floyd, The Grateful Dead, Santana and Genesis. Silk screen printing first appeared in China during the Song dynasty, and it was introduced to western countries in the 18th-century. Screen printing is a technique whereby a silk mesh is used to transfer ink onto a substrate – the material onto which images are printed. As only one colour can be printed at a time, a multicoloured image or design requires the use of multiple screens. Credit for popularising the technique in the United States in the 1960s is generally given to Andy Warhol with his Marilyn Monroe print Marilyn Diptych from 1962. Fried's death in 1975 served as a turning point in Lichtenstein’s career: he had to decide whether to continue with printing or pursue a different path. Ultimately, he chose to build a small studio with fellow pop artists. Later on, Lichtenstein travelled to Mexico to study Mayan art. Throughout his career, Gary Lichtenstein has collaborated with over 90 artists. 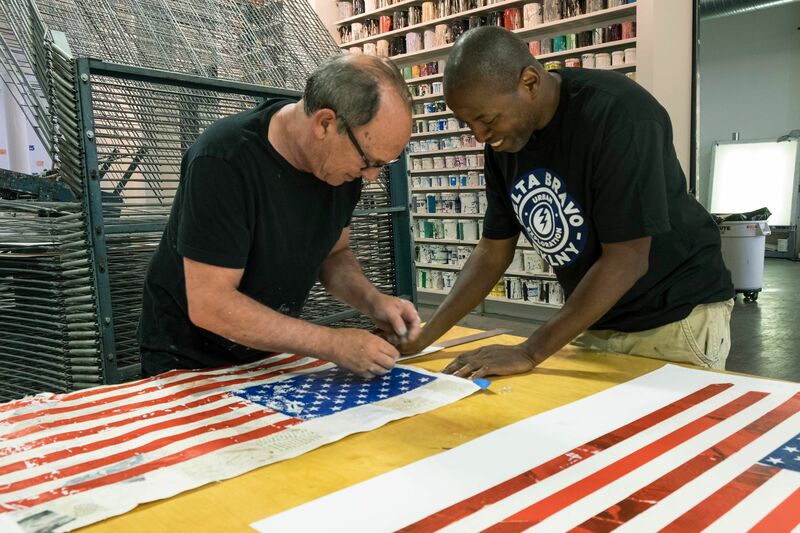 Breaking the boundaries of art – by merging and creating links between different styles and influences – made him an innovator in the art of silkscreen printing. When describing his studio, Gary Lichtenstein loves to use his “analogy of the musician”. He explains, “musicians can write the lyrics, they can sit down and do the work. But when they come into an environment like a recording studio, with other creative people who help put it all together, there is a sense of magic that often occurs”. At present, Gary Lichtenstein is collaborating with artist Cey Adams. 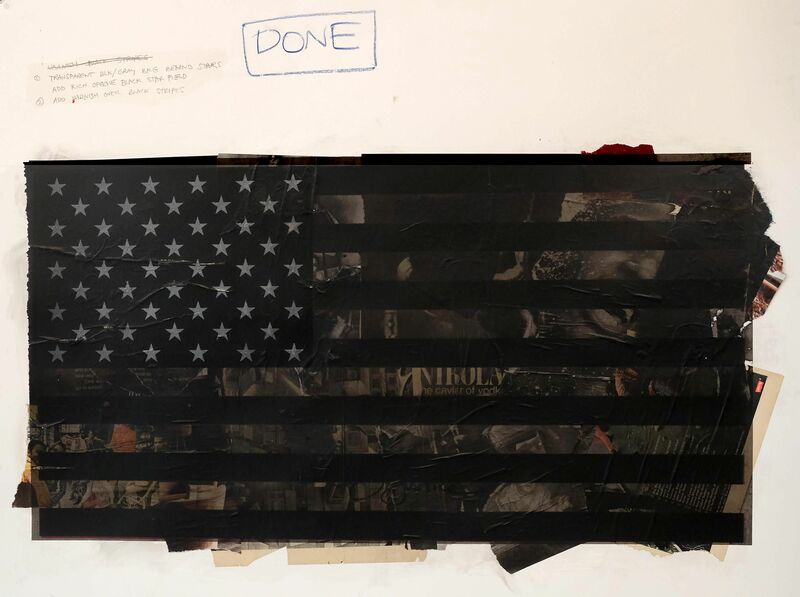 Emerging in the 1980s as a street artist, Adams is a designer and creative director who has created visuals for artists such as De La Soul, Run DMC, the Beastie Boys, Public Enemy and Jay-Z. The collaborative work of Lichtenstein and Adams will be unveiled on 13 September at the Gary Lichtenstein Editions Gallery, located at Mana Contemporary in Jersey City, New Jersey. 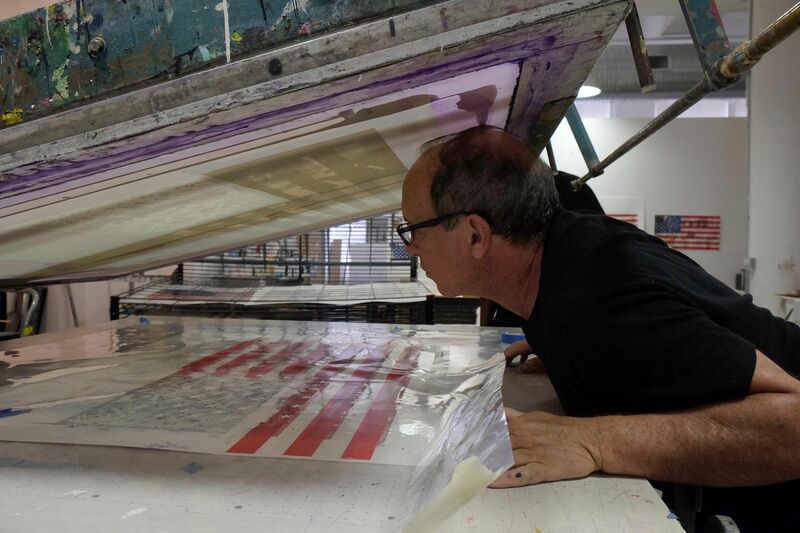 We caught up with Gary Lichtenstein in his Jersey City studio to talk about the growth of silkscreen, his experiences across projects, artists in the 21st century and his days at the San Francisco Art Institute. 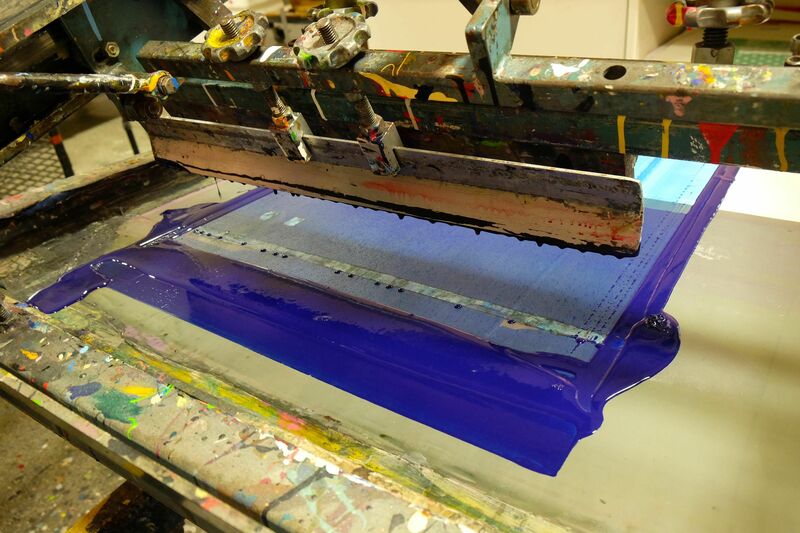 Did you start silkscreen printing from ‘scratch’? Pretty much, in the early days, we were exposing the screens in the sun, washing them out at the car wash. The thing was that all of the museums and galleries were looking at prints as the alternative to paintings. So we said: ‘One day instead of buying a painting, we'll buy a limited edition print.’ In essence, we were creating a market that was viable. It continued straight through the 1980s and 1990s, and even today I'm still doing the same thing. Technically, it is still the same silkscreen process. It remained with me through the age of digital technology, It stayed with me as a model. It has had its ups and downs, always, you have good and bad years. We were always doing a lot of work and we weren’t necessarily making a lot of money. We did it for the experience. How do you initiate a project? Five years ago, I started working with Richard Meier. Richard is a world famous architect who, throughout his career, has also been making collages. Richard was so excited about the idea of collaborating and, as a result, we haven’t stopped. We just finished a large-scale installation entitled, “Hobbico.” It is mounted in The Richard Meier Model Museum and it is composed of approximately 225 unique works created with silkscreen and encaustic. When the project was complete, Richard turned to me and said, “I couldn’t have thought this up alone.” It’s an excellent example of the ways in which certain projects evolve within a collaborative environment. How many projects do you work on usually? Usually I am working on two or three projects at a time in the studio. It's nice to see the interaction that occurs with the overlaps. Yet, each one of them is handled individually – my concentration is given to each individual artist and project. I have re-adapted silkscreen, not the technology. It is the colour and the process. I’m kind of winging it a lot, as an art, with a great deal of manual labor. What was the most challenging project you did? Off the top of my head, working with some of the minimalist artist like Karl Benjamin and, more recently, Charles Hinman. These artists do amazing work with, sometimes, only two to three colours, so these colours have to fit perfectly. If they don't then the piece is not a good piece. You are up against the perfection of certain painters and certain sculptors, which is is a challenge. What is the role of the artist in our modern society? It is an interesting question. I play a consistent role in producing limited edition silkscreen prints and inside that market, inside that arena, I am creating affordable art. Paintings can be very expensive, but prints do not need to be. I have always believed in bringing really good art out into the world and making it accessible. Intuitively as an artist it is very rewarding. I work with a lot of different artists, so when I see something, even though it is nice, it really looks like so and so... well that might be the inspiration and god bless. I say god bless, because if it doesn't get passed on through inspiration, its not going to get passed on. We are not talking about copying things, it is about inspiration. It is an extraordinary thing to watch. Take Richard Meier, he was one of the first to build these absolutely beautiful white buildings. I asked him ‘What do you think when you see so many adaptations of your white on white buildings?” He said, “I never thought I’d see the day.” It is the same in art. I worked with an Asian artist Ting Shao Kuang. We worked together almost 15 years, four to five projects a year. In this momentous time, back in the 1980s, we were exhibiting around the world, but we were also introducing one culture to another, before the internet existed. We made lots of pieces, and distributed them to people who genuinely wanted to afford them. Coming back to the musician analogy, sure musicians make the music but thank god we have a way to listen to it. Obviously, it evolved over the decades and changed, its kinda of what goes on with the art. Has the perception and reception of art in society been changed by technology? Definitely. It will change even more, in some ways for the better, in some ways for the worse. Honestly, I think its more about how acceptable art is when it is made. You can make a piece of art and put it on Instagram or Facebook, and many people can look at it right away. The problem is that there is no fermenting time: Is it good? Is it meaningful? That is one of the biggest concerns I have: there is too much art without any meaning. I think that because of digital technology and because the way the world has changed, in a positive way, the practice of art has changed. I take it upon myself to pay attention to the story that is behind the art and the artist. I try to bring some of that to life. I try to bring the elegance back into the art world. Artists are very devoted, dedicated human beings who produce consistently and who deserve to be understood. Therefore, I am a treasure hunter who is trying to make sure that some of these treasures are protected and preserved. Our experiences come from being able to see them, from a wider distribution. It is not going to happen on a flat screen TV, nor over the internet. You have to see and feel things to believe them. Do artists raise awareness on for instance political issues more easily through the internet? Absolutely. Prior to the technology we work with today, back in the 1960s, silkscreen printing was its own technology. We were printing up 100 posters and stapling them up to telephone poles as if that was more important than them being art. There was a lot of political effort put forward and generally, I think art itself needs to get out to people. From a general political point of view, if you look at what silkscreen has done, it is remarkable. It’s not surprising though since silkscreen is an old sign painter’s technique. Billboards, flags, banners, campaign posters, propaganda posters, windows, doors, t-shirts, you name it. Silkscreen can be applied to any material. I remember the days when we were shipping do-it-yourself kits to the freedom fighters in Central America. Take Ai Wei Wei – when he was incarcerated, people started exhibitions to support him and his ideology. That's a really nice thing to refer to, because artists are usually working quietly in their studio, but now they can play a significant role. Here the benefits of modern technology and distribution of imagery have helped incredibly. Many of Richard Meier's collages are made with communist, socialist and other propaganda posters, which had fallen off of the walls in Rome. He'd take them back to New York and make collages out of them. They were all silkscreen to begin with and the messages many of them conveyed were significant at the time.